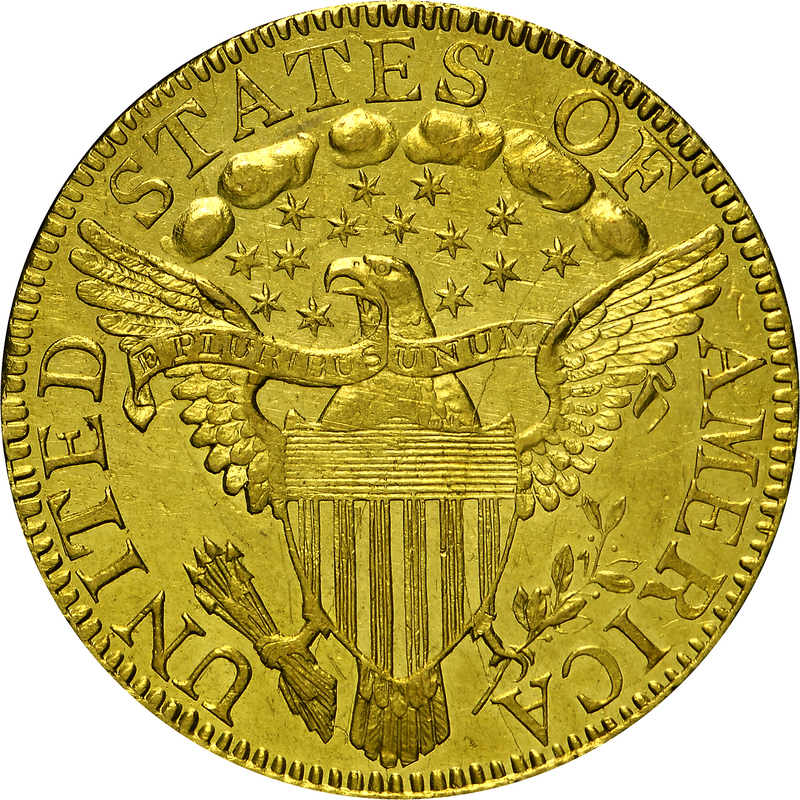 The engraver of the reverse die added an extra star, unwittingly creating a unique type coin for modern collectors. 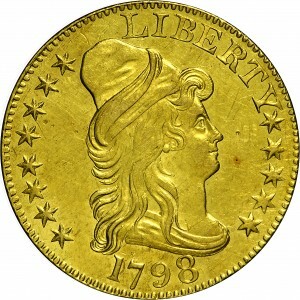 The 1798 14 Stars variety is quite scarce and highly desired today. Possibly 20 to 25 examples of this variety exist, with four of these collected by Harry Bass. The example displayed was acquired from the Norweb Collection and may be the finest known. Walter Breen attempted to justify star counts in relation to the number of states in the union at any given time. He had difficulty explaining this count of 14 stars, which was likely a simple engraving blunder. From the Bowers and Merena Galleries sale of the Norweb Collection, October 1987, Lot 742. 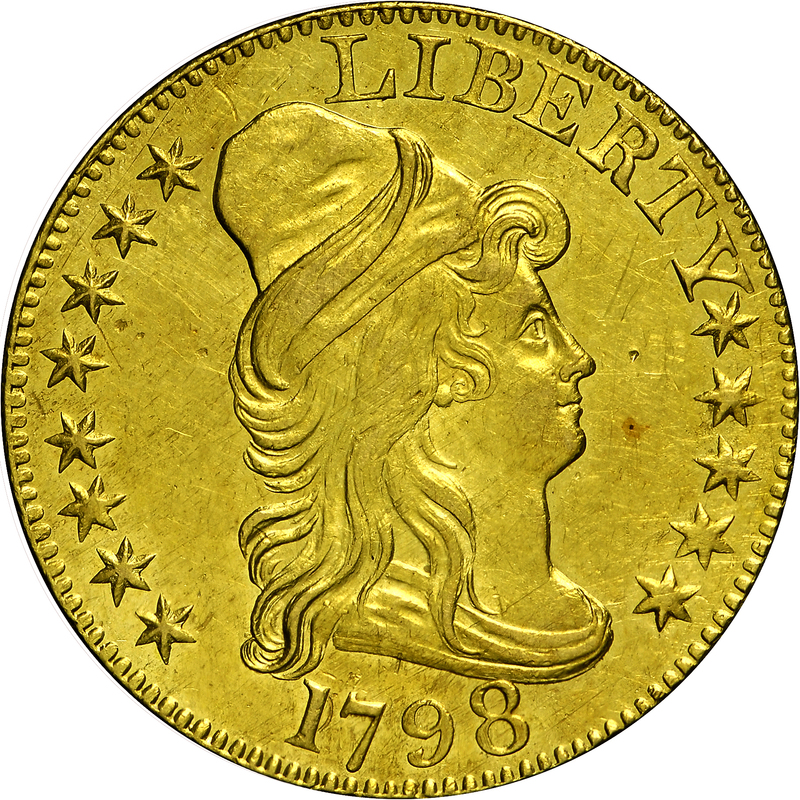 "Obverse: Large 8. Reverse: 14 stars. Crack edge - serif of A - branch - left leg - shield - (U)M of motto - star 6 - cloud - F- edge."